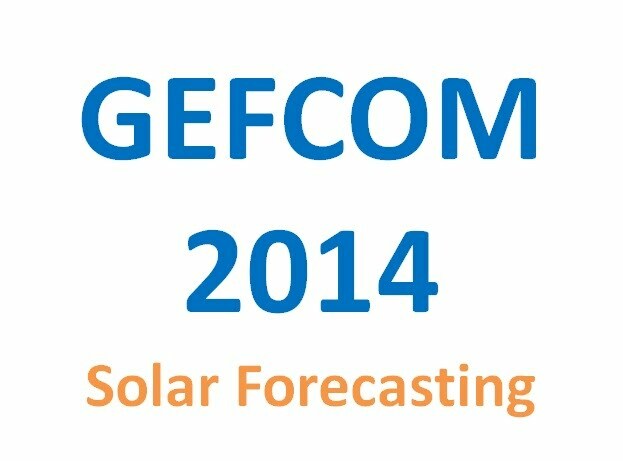 Four tracks: electric load, electricity price, wind power and solar power forecasting. Probabilistic forecasting: contestants are required to submit 99 quantiles for each step throughout the forecast horizon. Rolling forecasting: incremental data sets are being release on weekly basis to forecast the next period of interest. Prizes for winning teams and institutions: up to 3 teams from each track will be recognized as the winning team; top institutions with multiple well-performing teams will be recognized as the winning institutions. Global participation: 200+ people from 40+ countries have signed up the GEFCom2014 interest list. Tao Hong is the Graduate Program Director and EPIC Assistant Professor at Systems Engineering and Engineering Management Department at the University of North Carolina at Charlotte. He is Founding Chair of the IEEE Working Group on Energy Forecasting, General Chair of Global Energy Forecasting Competition, Editor of IEEE Transactions on Smart Grid, and the lead author of the online book Electric Load Forecasting: Fundamentals and Best Practices. Dr. Hong has been providing consulting and educational services to over 100 organizations across all sectors of the utility industry. His load forecasting methodologies have been commercialized and deployed to many utilities worldwide. Shu Fan received his B.S., M.S., and Ph.D. degrees in the Department of Electrical Engineering from China’s Huazhong University of Science and Technology (HUST), Wuhan, China, in 1995, 2000, and 2004, respectively. He conducted postdoctoral research sponsored by the Japanese Government in Osaka Sangyo University from 2004 to 2006, and was a Visiting Assistant Professor at the Energy Systems Research Center at the University of Texas at Arlington from 2006 to 2007. At present, he is a Senior Research Fellow at Monash University, Clayton, Australia. His research interests include energy system forecasting, power system control, and high-power power electronics. Hamid Zareipour received his PhD degree from the University of Waterloo, ON, Canada, in 2006. He is currently an Associate Professor with the Department of Electrical and Computer Engineering, the University of Calgary, Alberta, Canada. He serves as the Chair of the IEEE PES Subcommittee on Electricity Markets Economics, is the Secretary of the IEEE PES Working group on Energy Forecasting and an Editor for the IEEE Transactions on Sustainable Energy.Hamid's research focuses on applications of forecasting technologies, data mining and analytics in electric power systems, operation and planning of electricity markets under uncertainty and modernized power grids. Pierre Pinson is Professor in the Modelling of Electricity Markets at the Centre for Electric Power and Energy (CEE) of the Technical university of Denmark (DTU). He holds a M.Sc. In Applied Mathematics and a Ph.D. In Energy Engineering from Ecole de Mines de Paris (France). He acts as an Editor for the IEEE Transactions on Power Systems and Wind Energy. His main research interests are centered around the proposal and application of mathematical methods for electricity markets and power systems operations, including forecasting. He has published extensively in some of the leading journals in Meteorology, Power Systems Engineering, Statistics and Operations Research. He has been a visiting researcher at the University of Oxford (Mathematical Institute) and the University of Washington in Seattle (Dpt. 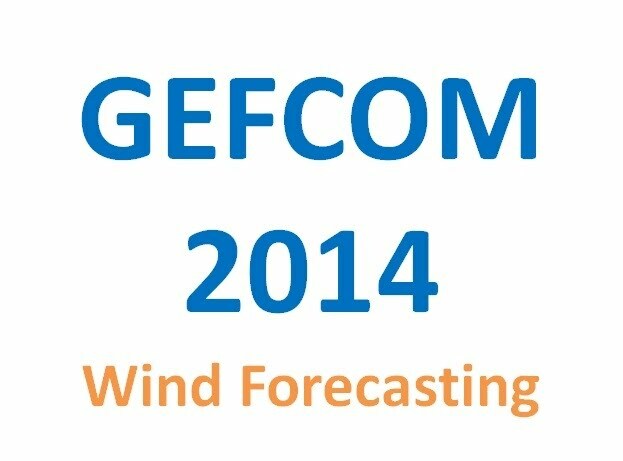 of Statistics), as well as a consultant at the European Center for Medium-range Weather Forecasts (ECMWF). Alberto Troccoli is the head of the Weather and Energy Research Unit at Commonwealth Scientific and Industrial Research Organization (CSIRO, Australia). He has more than 15 years of experience in several aspects of meteorology and climate and their application to the energy sector. He has held research positions at NASA, ECMWF and the University of Reading (UK). Alberto is the chief editor and an author of three books: ‘Seasonal Climate: Forecasting and Managing Risk’ (Springer, 2008), ‘Management of Weather and Climate Risk in the Energy Industry’ (Springer, 2010), ‘Weather Matters for Energy’ (Springer, due out in 2013). He is the convener of the International Conference Energy & Meteorology (ICEM, Australia 2011) and ICEM-2 (France 2013). Alberto holds a PhD in physical oceanography from the University of Edinburgh (UK). Rob J Hyndman is Professor of Statistics in the Department of Econometrics and Business Statistics at Monash University and Director of the Monash University Business & Economic Forecasting Unit. He is also Editor-in-Chief of the International Journal of Forecasting and a Director of the International Institute of Forecasters. Rob is the author of over 100 research papers in statistical science. In 2007, he received the Moran medal from the Australian Academy of Science for his contributions to statistical research, especially in the area of statistical forecasting. For 25 years, Rob has maintained an active consulting practice, assisting hundreds of companies and organizations. His recent consulting work has involved forecasting electricity demand, tourism demand, the Australian government health budget and case volume at a US call centre.